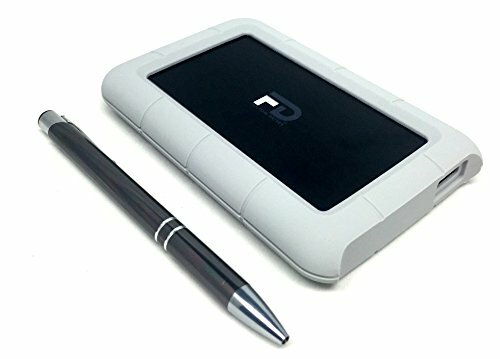 Fantom Drives Robust Mini is a tough 2.5" portable hard drive solution with Super Speed USB 3.0 that protects your digital data with an aluminum enclosure covered by a durable shock-resistant silicone cover. Fandom Drives Robust Mini's aluminum and silicone design safeguards performance and data against impacts, accidental drops, and life in general. Uncompromising toughness in this pocket-sized drive will protect your data while you're on the go as never before. A fully bus-powered design keeps you free of power bricks and voltage converters while you travel with confidence knowing your files will arrive safely. Take it to your next corporate meeting or family reunion to share and save memories for a lifetime.